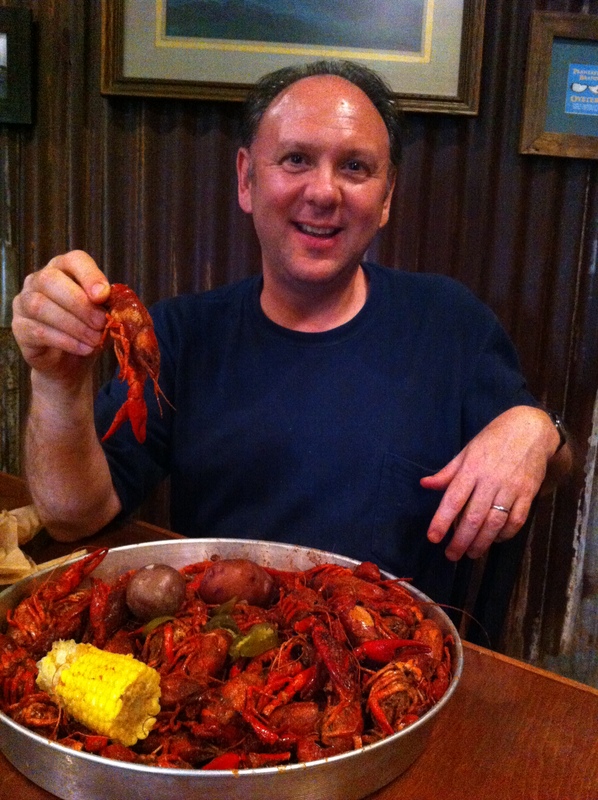 Eating Crawfish in Lafayette, LA. When we returned home, friends and work colleagues encouraged me to share what we had experienced. (I’ve done that before–passing around handy travel tips on cities like Seattle, Montreal, and Amsterdam.) At first, I drew up a list of helpful links for anyone thinking about visiting New Orleans and Memphis. I’ve found those cities are destinations on many people’s bucket list, but they don’t always make it to the top of the list. As a next step, I wrote this blog to share what we experienced in Memphis. Hopefully, more people will travel there and find out what an interesting and lively place it truly is! Special thanks to Anthony Bonds, Bell Staff Manager at The Madison Hotel–his suggestions were always spot on, and his passion for his own city always shone through. Yes I made it here. I am at least two or three of those hits now. Umm quite the bowl of shrimp you got going on there. What a fun web-site/blog. I haven’t been to Memphis but this sure helps me decide to get there soon! Well done!